Normally a random ad aired on Golf Channel during a weeknight LPGA Tour event wouldn’t be cause for virality. 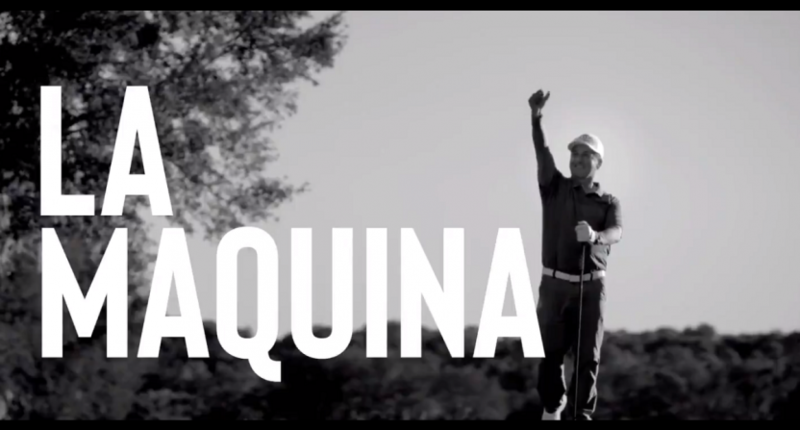 But most random ads aired on Golf Channel don’t feature the aesthetic (and production values) of the one starring Columbian amateur golfer Julio Bell, aka La Maquina. And that actually aired last night! What makes it even better: Julio Bell first rose to prominence last year when he essentially bought his way into a Web.com Tour event in his native Colombia, entering a real, actual golf tournament on one of the most competitive tours in the world and shooting +56 (95-103) to miss the cut. So, after that, Bell is now doing what most people who aren’t good at golf but have a lot of money do: buying slots in pro-am events, including the LPGA Diamond Resorts Tournament of Champions. What most amateurs don’t do: produce commercials announcing their presence, then buy ad time DURING that tournament to run your own commercial. The ridiculousness of this has not been emphasized enough. It’s one thing to be known for buying your way into a tournament you have no business being near, finishing DFL, then coming back to play in a pro-am. It’s another thing to produce a video promoting that appearance, and yet another level of crazy further to actually buy air time on Golf Channel. It’s so over the top it’s almost perfect.